Test spray to see how many coats I like and if I can actually do this good enough to complete this project. 3 coats black tinted clear, 2 coats gloss clear. Just finished up the trunk finisher on the maxima. I will get some pics when I put it back on tomorrow. 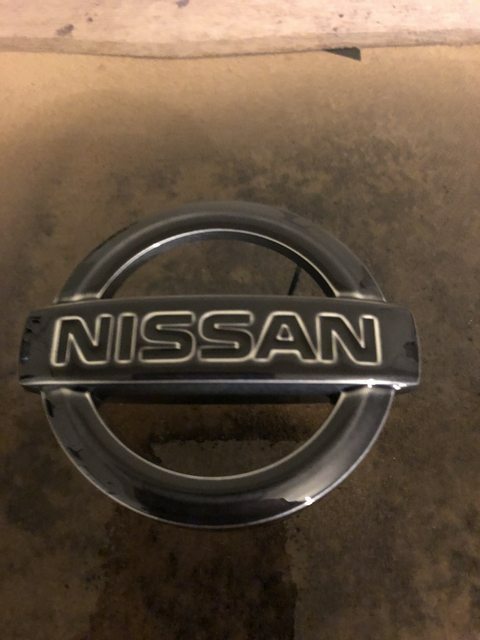 Not too thrilled with the Nissan badge though. 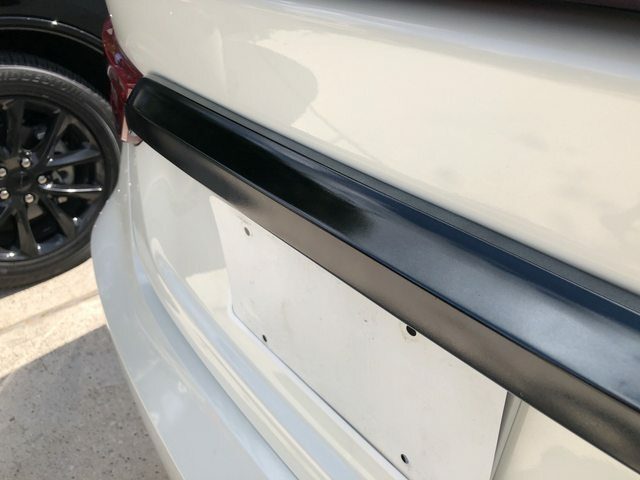 Something went wrong there compared to the trim. Stay tuned! 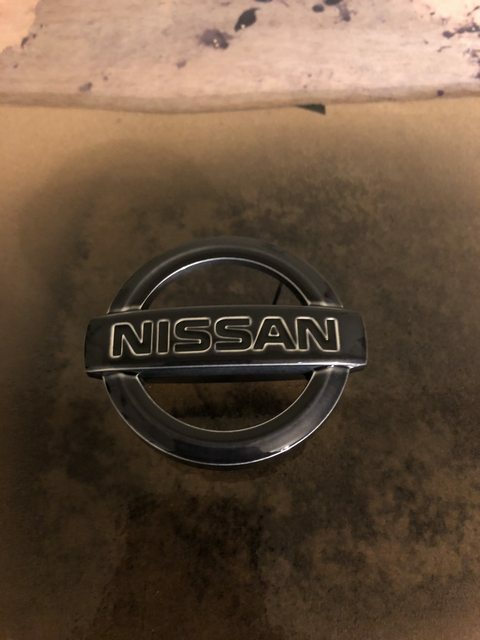 OK, finished the Project BLACKCHROME test... the emblem was a fail, even after wet sanding, I cant get the black chrome to stick to the whole thing... 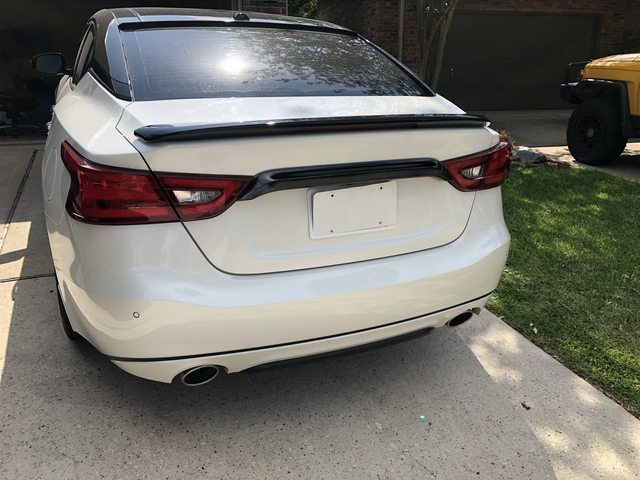 I did finish the Max's trunk finisher... Not sure how I am liking it... 3 coats tinted clear and 4 coats of clear clear. Last edited by jonmalexander; 05-20-2018 at 01:14 AM. Oh yeah... changed Max's spoiler from factory white to Nissan Black. Took LBR out in the rain today. Felt weird with the windows up and AC on! 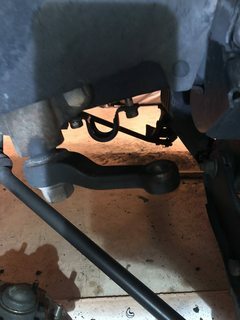 I will be cranking the t bars and installing the front shocks this weekend. 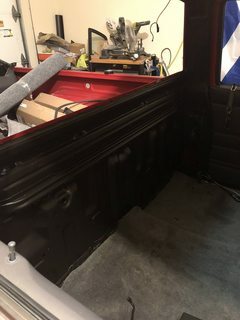 Pretty sure I will be redoing the carpet in the cab next weekend as well, I don't like the job I did, and will be installing some 1/4 waterproof underlayment as well. I really want to switch to bucket seats too, but there is a shortage of clean ones in town. Any ideas on some aftermarket seats I can just buy online? Project BLACKCHROME is on hold... all parts are here, but time is the issue. I do not want to rush it. 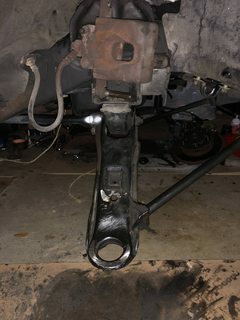 LBR Update... well got the suspension all taken apart. Going to clean up underneath and start getting everything back together this weekend. 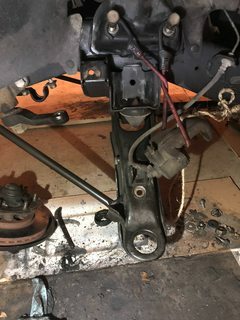 I decided to NOT tackle the LCA and torsion bars.. not enough trust in my skill. Pictures in a minute. I can't wait to get it back together and then tackle this idle issue that I seem to have created for myself. 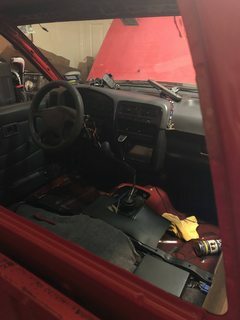 ...and took out the back glass to clean it and get the truck ready for paint soon.